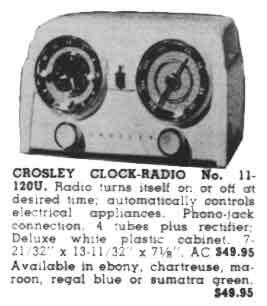 These Crosley clock radios are commonly known by collectors as the "dashboard" radio because it is reminiscent of classic cars from the era with the symmetrical appearance formed by the round clock and dial face. 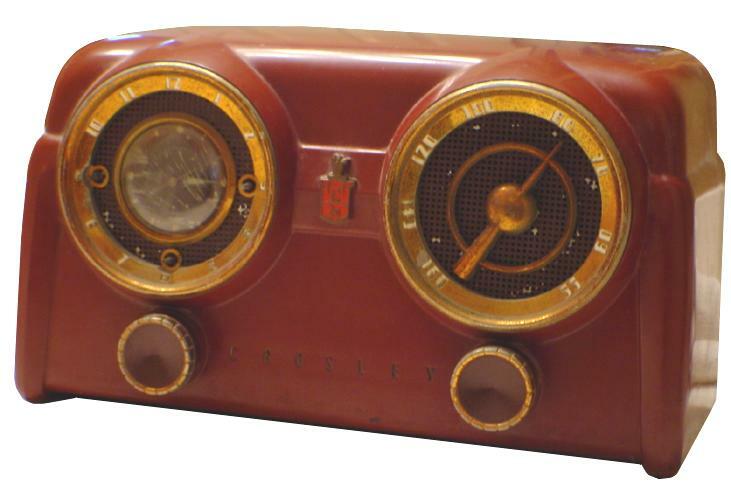 While the classic appearance is admirable, it does not give any hint of the insidious difficulty I encountered in repairing the radio. It took me hours to figure out how to pry the chassis out of the cabinet just to replace the filter capacitors, but it was well-worth it to get rid of the rusty sound. The original price was $49.95.